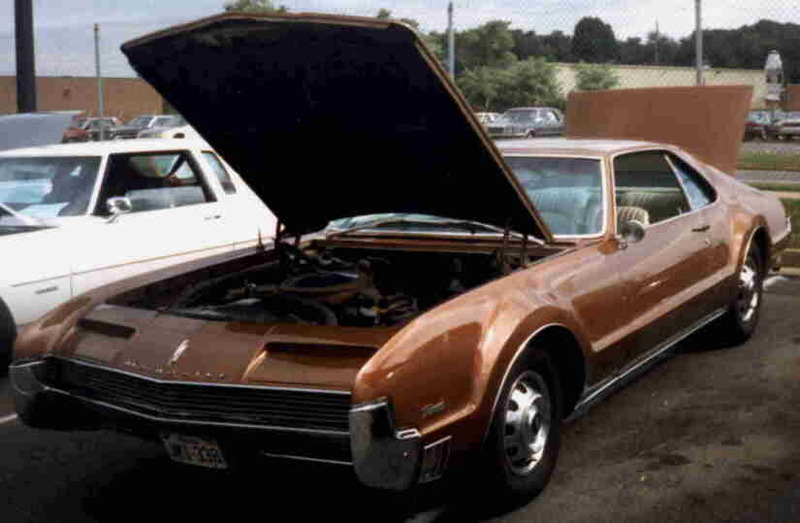 1966 Oldsmobile Toronado Deluxe. Robin's car! It's supposed to be Trumpet Gold but is currently a non-stock brown metallic. All 66 Toros got the 385HP 425 4 barrel motor and dual exhaust. It has about 94k original miles. Runs well. Tagged. Future plans call for a correct color repaint and possibly an engine freshen-up.